Queen Marie. 2003. Wood engraving and Letterpress. Grandpa was a Fisherman. 2003. Wood engraving. 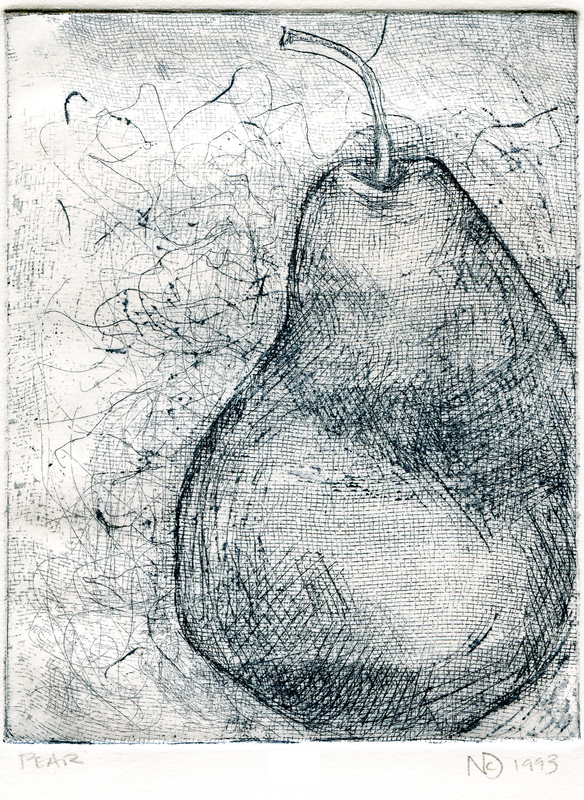 Pear. 1993. Soft ground etching. Which Part.... 2002. Photo etching with chine-collé. Wrapping Trees. 2004. Handmade paper, trees. Remembering Trees. 2004. Handmade paper, waxed linen. Introspection. 2003. Transfer print, pine, mud, straw, rope, hardware. Introspection (detail). 2003. 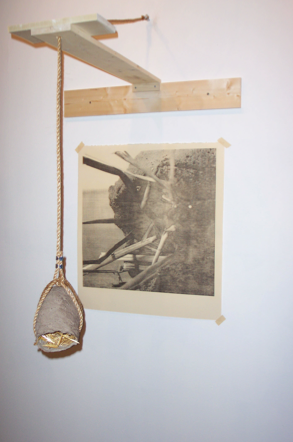 Transfer print, pine, mud, straw, rope, hardware. Footprints. 2004. Cast paper, detritus. Remembering Trees (detail). 2004. 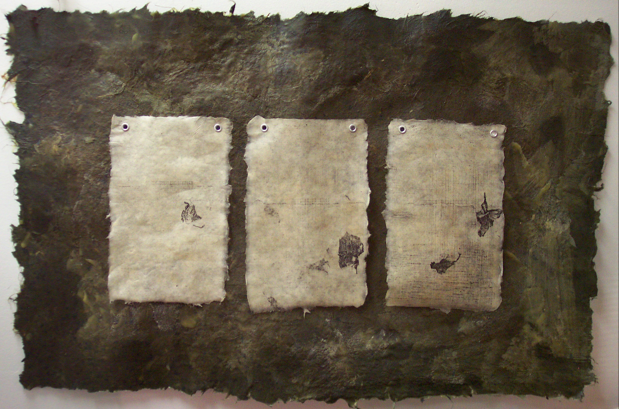 Handmade paper, waxed linen. Self Portrait. 1994. Handmade paper, etching, cyanotype. Decay. 2004. 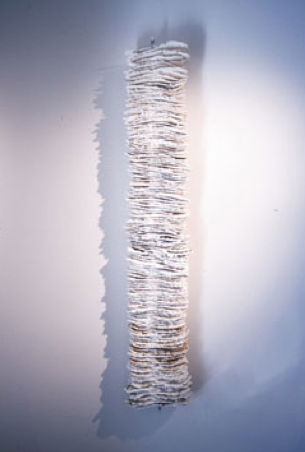 Handmade paper, chicory, thread. Icarus. 2003. Handmade paper, xerograph prints, encaustic. Footprints. 2004. 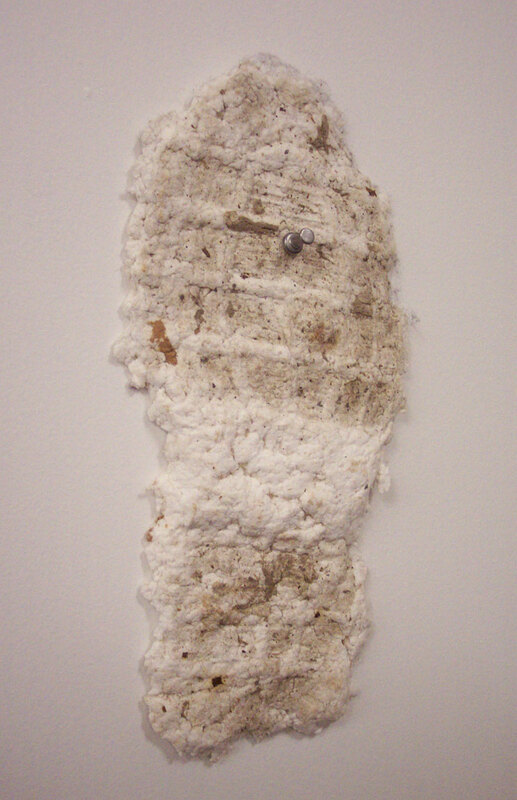 Cast handmade paper and detritus. Icarus is Dead. 2003. Handmade paper, chicory, thread. Footprint (detail). 2004. Cast handmade paper and detritus. As the Crow Flies (pt. 1). 2008. Altered book, transfer print, gesso, screws, oak. Leaves of Grass. 2008. 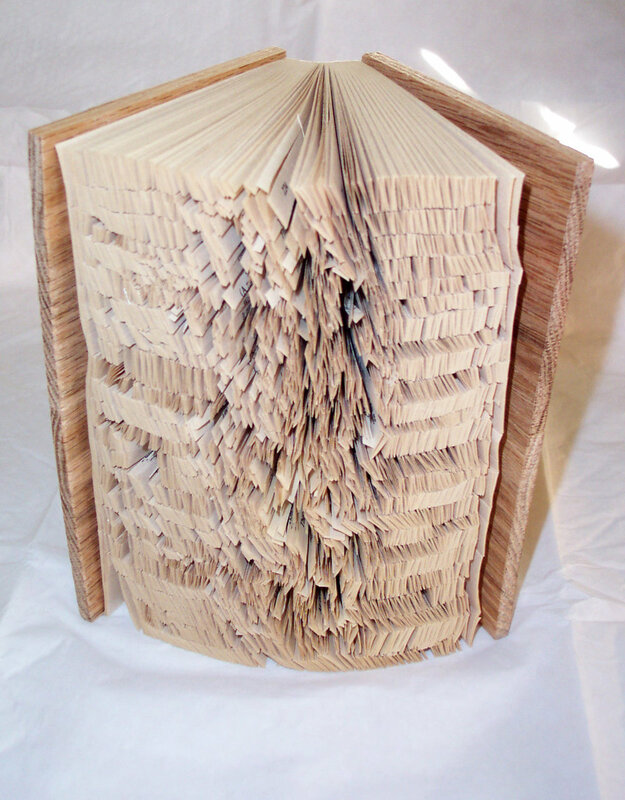 Altered book. As the Crow Flies (pt. 2). 2008. 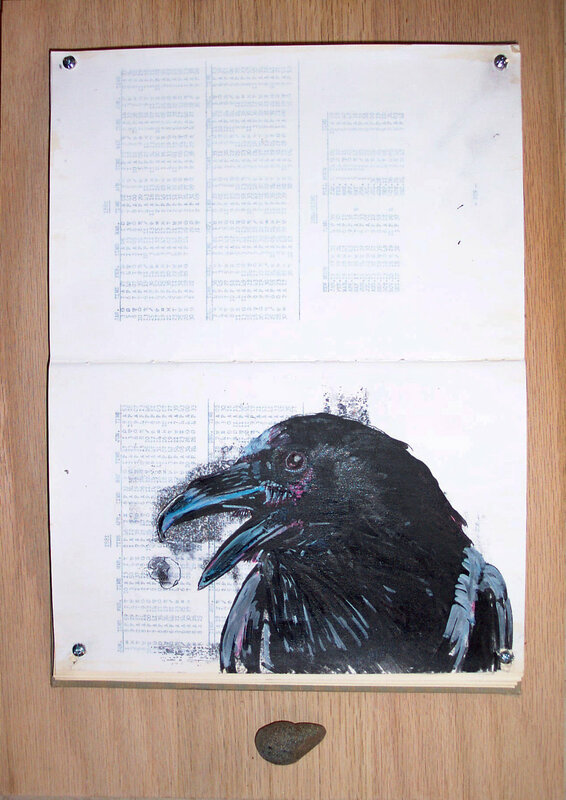 Altered book, transfer print, ink illustration, gesso, screws, oak. As the Crow Flies (pt. 3). 2008. 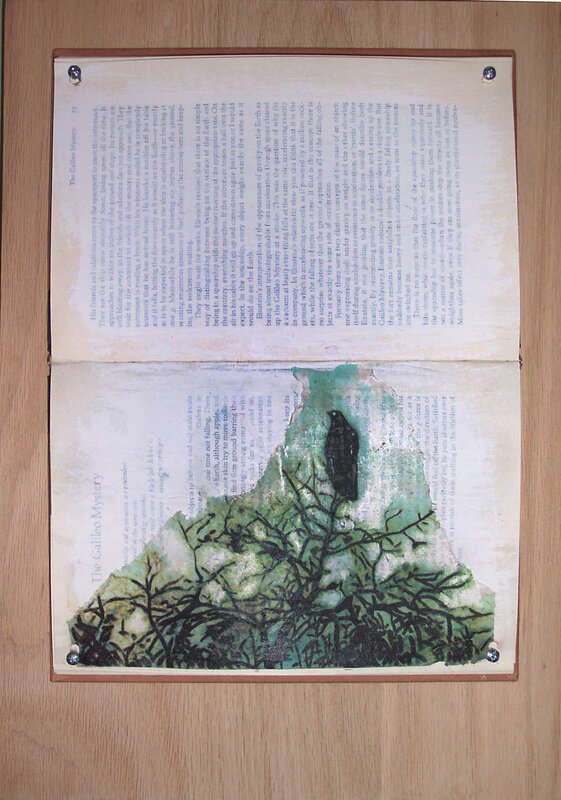 Altered book, transfer print, oil paint illustration, gesso, screws, oak. Leaves of Grass (detail). 2008. 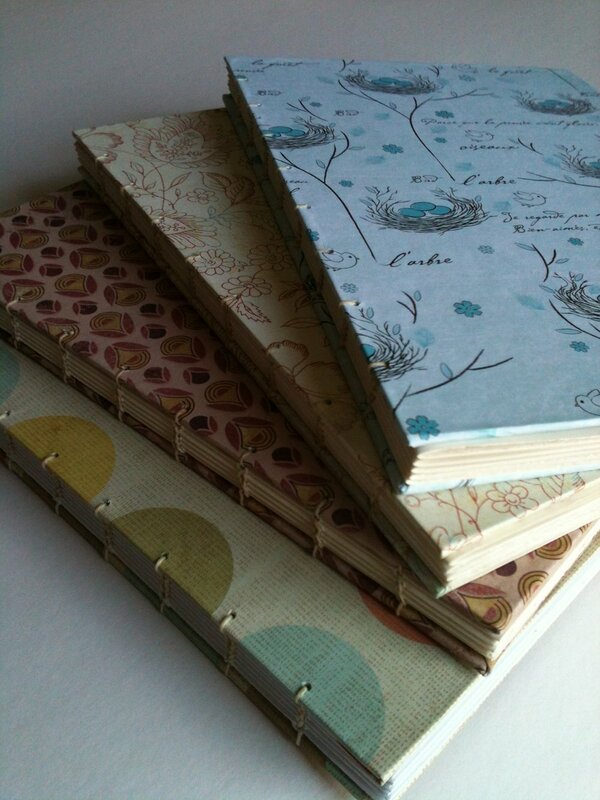 Altered book. 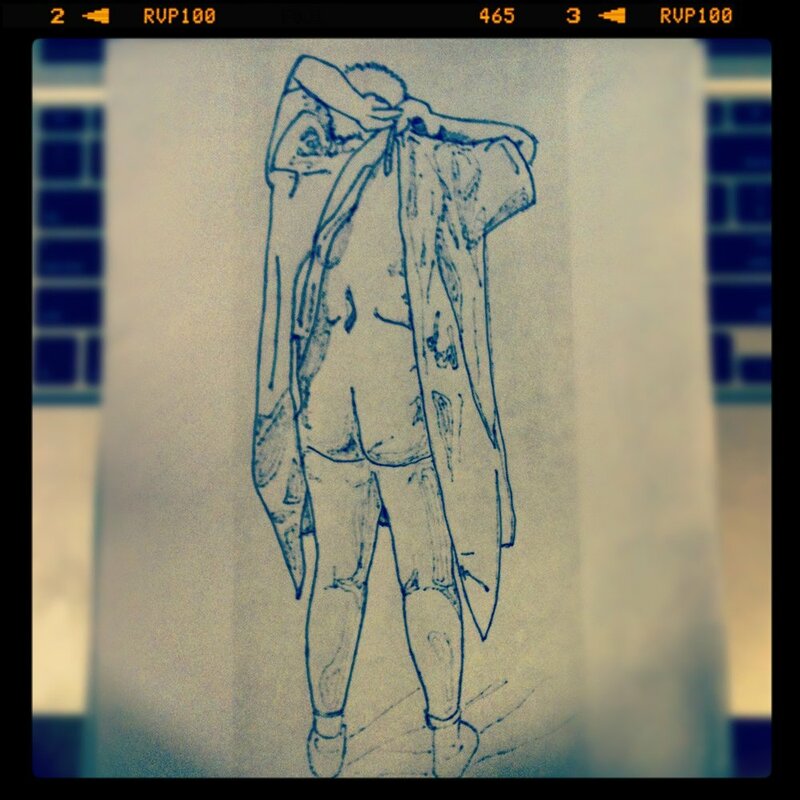 Sketch for thread drawing on Hospital Gown Quilt. 2012. 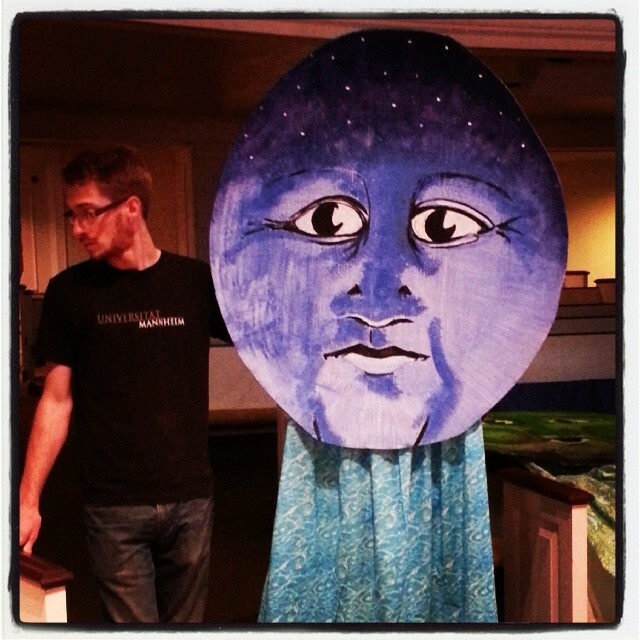 In 2013, and again in 2014, I created a series of big head puppets with members of Epiphany Presbyterian Church for their Winter Solstice performance. 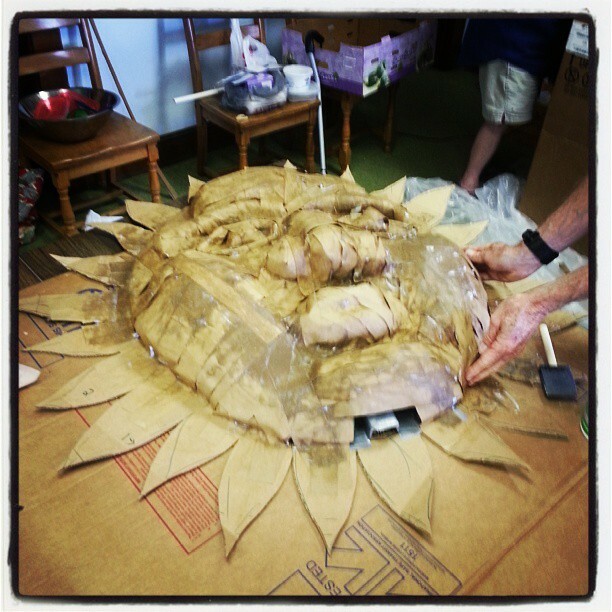 Epiphany Presbyterian Solstice Performance. Paper puppets. 2013. 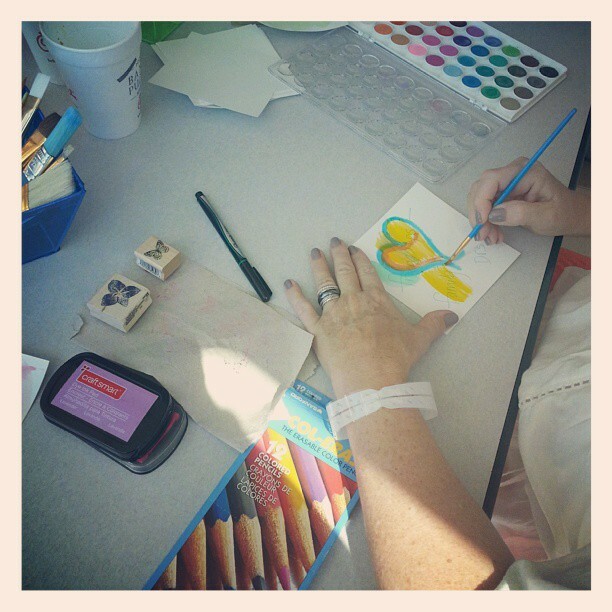 In August 2013, I was Artist in Residence at Wesley Long Cancer Center. 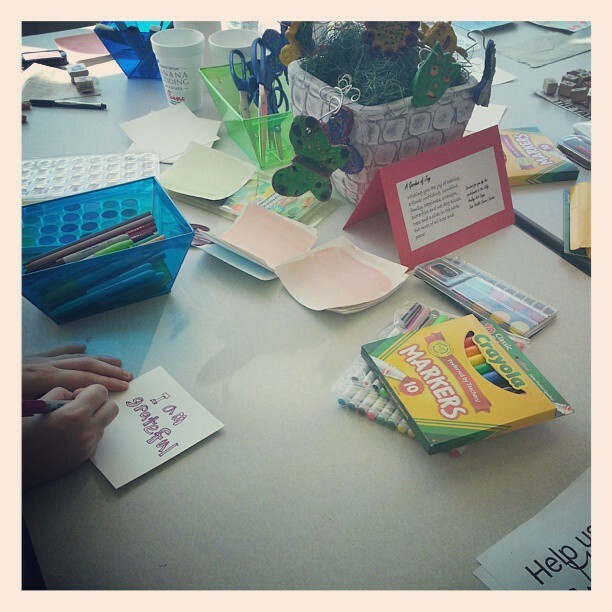 I helped patients and caregivers create a paper gratitude quilt that now hangs in the Cancer Center. 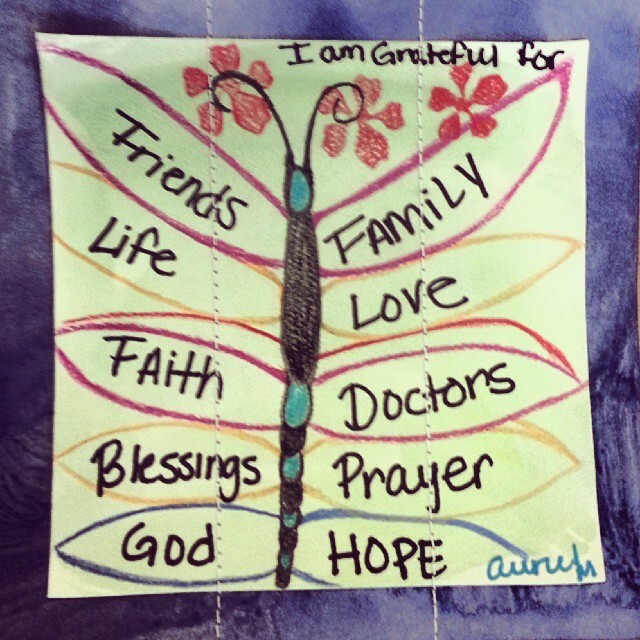 Gratitude Quilt. Wesley Long Cancer Center. August 2013 residency. 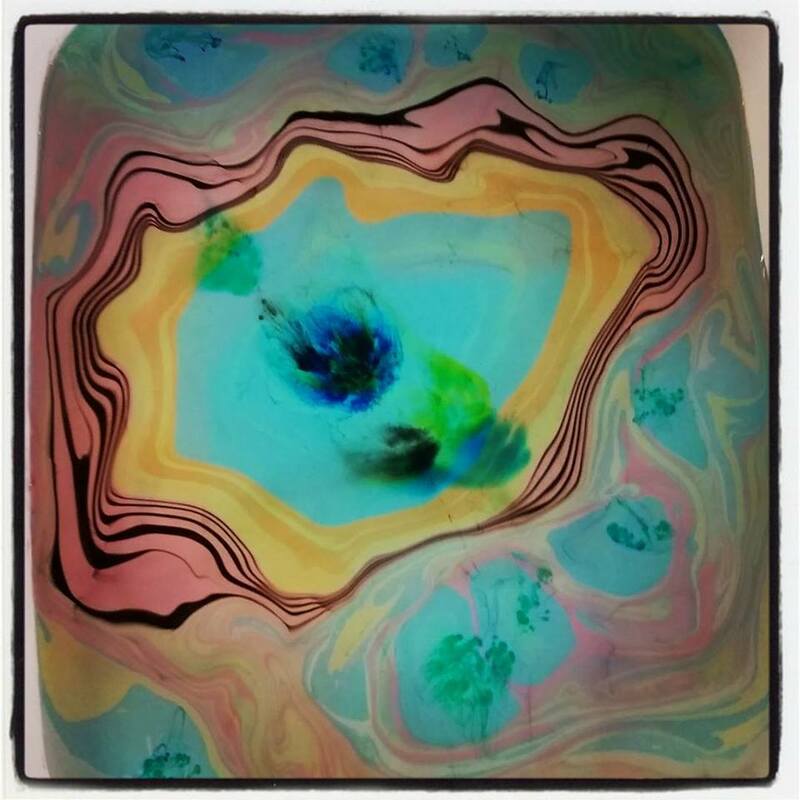 Beginning in 2009, I started working with Hirsch Wellness Network to create free art classes to caregivers and people undergoing treatment for cancer.Among the many classes I've taught are Visual Diaries, Bookbinding, Suminagashi (paper marbling), Intuitive Painting, Garden Art, and Designing Air Plant Terrariums.